I’m always grateful to receive requests but this was a particularly good one for I had never even heard of the building in question. The Grade II Listed Church of the Annunciation of Our Lady is, indeed, a fascinating building; tucked away between two of Hanover’s typically narrow streets. 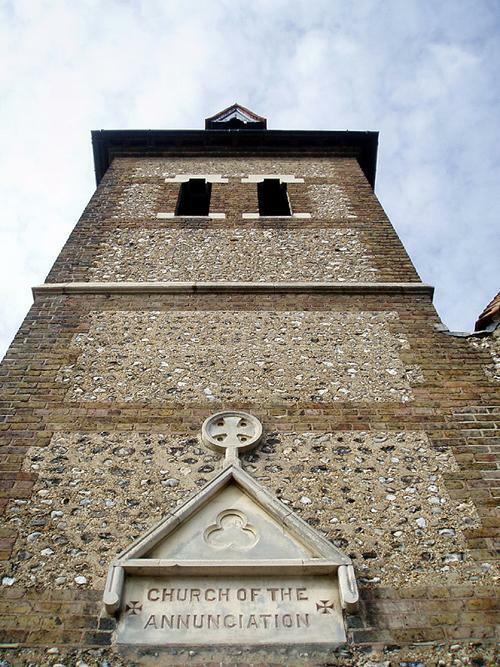 It was one of several churches in Brighton, including St. Paul’s on West Street and the massive St. Bartholomew’s by London Road, that were built on behalf of the Reverend Arthur Douglas Wagner. It opened on the Assumption of Mary Feast Day (15th August) in 1864. The design by William Dancy came to be modified when a new north aisle in a similar style to the original south aisle was added to the designs of Edmund Scott. The modified structure, with a greater capacity to cope with increased demand, was consecrated in 1884. Brighton owes much to Wagner, who was ordained to the priesthood in 1850. Not only did he leave a legacy of unique buildings, he also paid particular attention to the poor of his day by, for example, not charging pew rates. Wagner’s churches followed the Anglo-Catholic ritualist tradition, something that was not popular with many reactionary Protestant figures within the Church of England. Incidentally, St. Andrew’s on Waterloo Street in Hove that I wrote about two weeks ago follows this same tradition. The façade of the Church of the Annunciation consists of a large tower along with two gables, each with flint facings and red-brick surrounds. Inside, the weighty wooden structure is clearly visible. 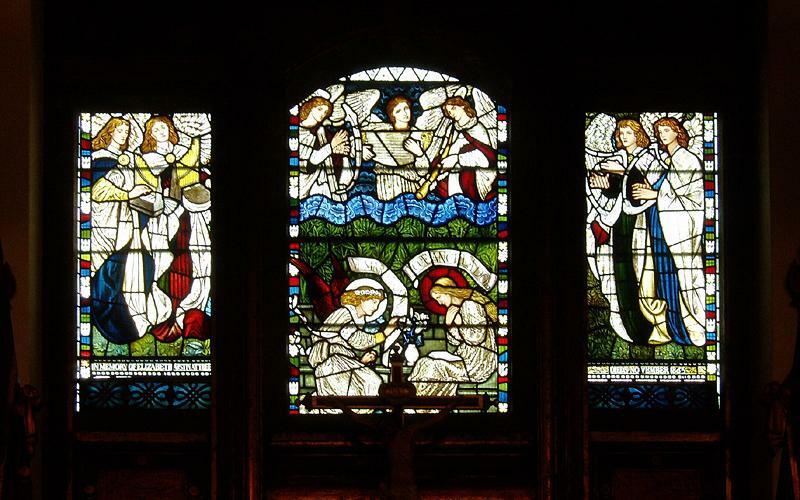 The window above the altar is rather special – it was executed by the great William Morris to the designs of Edward Burne-Jones. Following a campaign by anti-ritualists, a ruling was made in 1902 that many of the building’s treasures, such as the candlesticks and confessional boxes, had to be removed. There was, however, a later revival of the ornamentation, including the introduction of two reredos (ornamented screens). The overall effect is stunning and is well worth a look, perhaps during one of the Reverend Steven Foster’s rather fun Sunday morning services. The Church of the Annunciation is one of several buildings in Hanover that stands out from the rows of similar houses. I’m quite a fan of the area and once even thought that I lived there. I was disappointed to find that that I was a couple of streets past the boundary!